Does “You’ve Got Mail” Still Deliver? 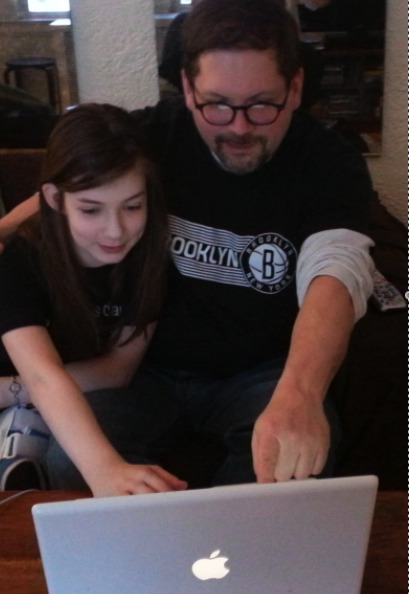 Bruce Fretts: Since Valentine’s Day is tomorrow and we’re snowed in at home, I decided to watch a rom-com with my 12-year-old daughter, Olive. Olive: No, that was my idea. I demanded a rom-com, Pop! 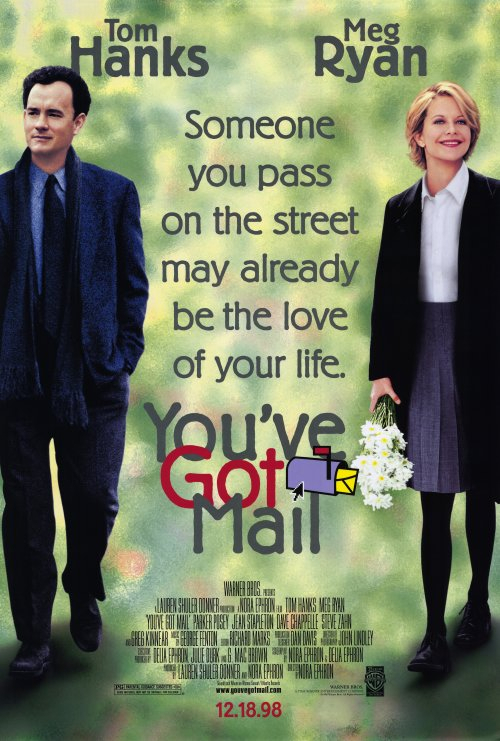 Bruce: I picked You’ve Got Mail, because it’s a movie I’ve never seen before, and it was made before you were born, so I wanted to see if it held up after 15 years. Why did you demand we see a rom-com? Why do you love rom-coms so much? Olive: I just love them. When I’m not in the mood for any particular sort of movie, rom-coms can bring goodness in my heart. Bruce; I’ve resisted seeing You’ve Got Mail since I’d seen Sleepless in Seattle, which also stars Tom Hanks and Meg Ryan and was directed by Nora Ephorn, and I didn’t like it because I thought it was sappy. So I was afraid this was going to be sappy, too. We tried to watch it around Christmastime, but there was some technical difficulty with On Demand, and it wouldn’t work. So I was convinced the universe didn’t want me to see it. But we watched it, and I didn’t hate it. Bruce: I did have some problems with it. What did you think of it? Bruce: …that’s called The Shop Around the Corner. Olive: So they become rivals because the Shop Around the Corner is getting put out of business by his store. Then he finds out she is the rival bookstore owner, but she doesn’t know who he is. Bruce: He finds out she’s the one he’s been emailing, but she doesn’t know. And that’s one of my big problems with the movie. That happens halfway through the movie, so Tom Hanks’ character is being cruel for the second half. Olive: It’s his whole plot to make her fall in love with him. Bruce: He manipulates her and makes her think she was stood up by this guy, but she keeps emailing him so she looks pathetic. And he’s like her puppetmaster, pulling the strings to make her fall in love with him. And when she finally finds out it’s him—SPOILER ALERT!—she’s not even mad at him! Olive: She just smiles and kisses him and that’s the end. Bruce: That’s my problem with rom-coms—they’re predictable. You know the couple’s going to end up together. Olive: It makes me so happy! It’s like, whatever happens, it’s all going to be okay, because this is a rom-com! Bruce: My other big problem with the movie is I don’t think Meg Ryan is as cute as everybody else seems to think she is. Olive: I know! I watch all these old movies and different kinds of women are considered attractive. 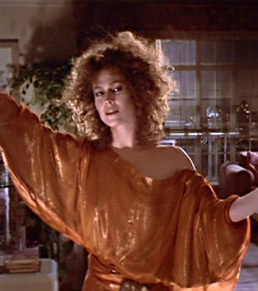 Like in Ghostbusters, I didn’t find that woman attractive. Bruce: Sigourney Weaver? Oh, I think she’s attractive! Olive: Whoever the curly-haired lady was. At that time, I guess people thought she was gorgeous. Meg Ryan’s supposed to be so gorgeous, but I don’t really see it. Bruce: I just think she overplays the cutesiness. Olive: She’s so innocent, it’s unbelievable. Bruce: Did you feel like the movie was dated? I did—all those Barnes & Noble superstores are now closed because Amazon put them out of business. Olive: And chatrooms? I haven’t heard of one since I was 3 and was on Webkinz and could talk to people, like “Hi, I’m Panda and I like carrots and hugs!” You can’t click on a chatroom on Gmail. Olive: I get what you’re saying. Bruce: The movie made me sad, because they talk about how they want to stop New York City from becoming one big strip mall with all these chain stores. And that’s pretty much happened. It made me miss old New York. Olive: Definitely. That’s why I like SoHo. I like the little streets and stores. Bruce: You’ve Got Mail seems to be a movie that’s more popular with women than with men. Why do you think that is? Olive: Because it’s a rom-com, and it makes our hearts feel good. Bruce: And men don’t like their hearts to feel good? Bruce: What do they like? « Do I Believe in “Miracle”?